A 10-cm-diameter parallel-plate capacitor has a 1.0 mm spacing. The electric field between the plates is increasing at the rate 1.0×10^6 V/ms What is the magnetic field strength 2.7 cm from the axis? I have tried using the formula B = μ0 ε0 (R² / 2r) dE/dt I got 5.15*10^-13 but it is wrong. Need help with it. Thanks for any help. What is the resistance through R2? Electrostatics help ~~? In the following figure(Figure 1) , the battery has negligible internal resistance and E = 42.0 V . R1 = R2 = 3.10 Ω and R4 = 3.10 Ω . 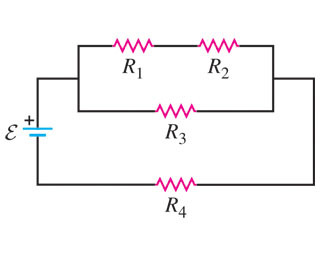 Part A What must the resistance R3 be for the resistor network to dissipate electrical energy at a rate of 299 W ? R3= ____________ https://session.masteringphysics.com/pro... I am getting 5.32 but it says "Not quite. Check through your calculations; you may have made a rounding error " I tried 5.33 but still says the same. 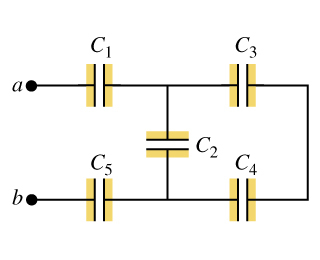 A 12.0 −μF capacitor is connected through a 0.895 −MΩ resistor to a constant potential difference of 60.0 V. Part A Compute the charge on the capacitor at the following times after the connections are made: 0, 5.0 s, 10.0 s, 20.0 s, and 100.0 s. q0, q5.0, q10, q20, q100 = 0,2.7×10^−4, 4.4×10^−4, 6.1×10−^4, 7.2×10^−4 C I did Part A correctly, Need help with Part B Part B Compute the charging currents at the same instants. Physics help please ~~ Multiple choice? A heating element made of tungsten wire is connected to a large battery that has negligible internal resistance. When the heating element reaches 80.0∘C, it consumes electrical energy at a rate of 480 W . Assume that the temperature coefficient of resistivity has the value given in Table 25.2 in the textbook and that it is constant over the temperature range in this problem. In the equation R(T)=R0[1+α(T−T0)] take T0 to be 20.0∘C. Part A What is its power consumption when the temperature of the heating element is 110.0 ∘C? An overhead transmission cable for electrical power is 2000 m long and consists of two parallel copper wires, each encased in insulating material. A short circuit has developed somewhere along the length of the cable where the insulation has worn thin and the two wires are in contact. As a power-company employee, you must locate the short so that repair crews can be sent to that location. Both ends of the cable have been disconnected from the power grid. At one end of the cable (point A), you connect the ends of the two wires to a 9.00-V battery that has negligible internal resistance and measure that 2.66 A of current flows through the battery. At the other end of the cable (point B), you attach those two wires to the battery and measure that 2.05 A of current flows through the battery. Part A How far is the short from point A? Choose a correct short description of a real object for which this would be the correct free-body diagram. 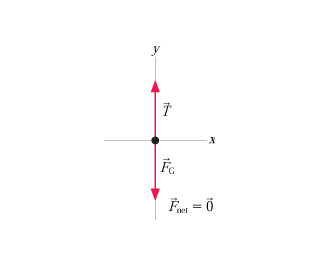 (Figure) https://session.masteringphysics.com/pro... Check all that apply. 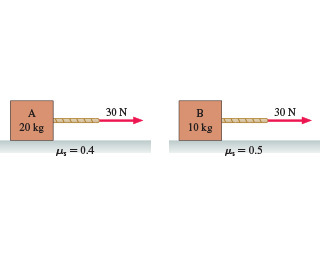 A) An object hanging from a rope is moving up with a constant acceleration. B) An object hanging from a rope is moving down with a constant speed. C) An object hanging from a rope is moving up with a constant speed. D) An object hanging from a rope is moving down with a constant acceleration. In the figure (Figure) , C1 = C5 = 9.0 μF and C2= C3 = C4 = 4.6 μF . 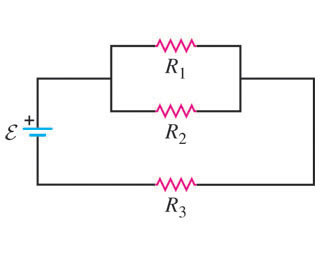 The applied potential is Vab = 250 V . Part A What is the equivalent capacitance of the network between points a and b? C=__________ Part B Calculate the charge on each capacitor and the potential difference across each capacitor. Q1=__________ Part C Find V1 V1= __________ https://session.masteringphysics.com/pro... Update: I found out C= 2.7*10^-6 , Q1=6.8*10^-4, and V1=76 V I just need help in finding Q2 and V2 ?? Please see the image attached. I am not sure if the option A and B are correct, because they both appear to be the same to me. Any help really appreciated. image attached ~~ thanks a lot for helping. Calc 3 help needed ~~? Calculus 3 short question ~~?